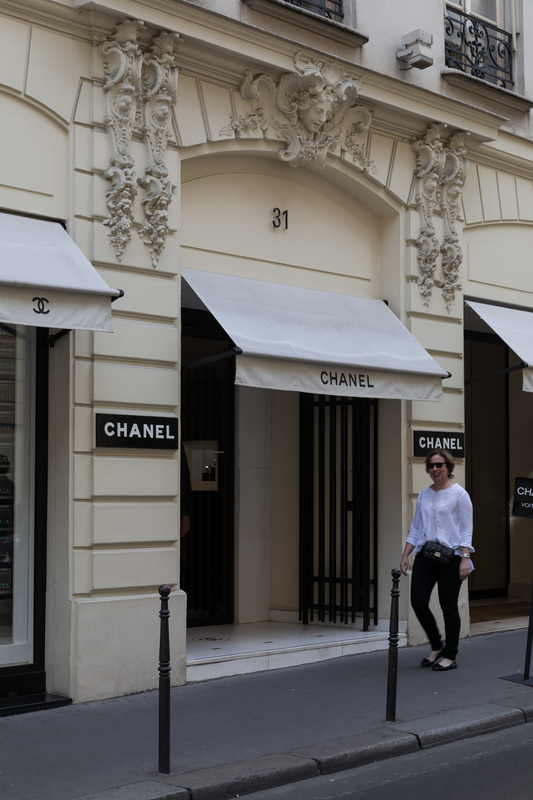 While I, like just about everybody on the planet, adore travelling to Paris in late spring and early summer, it is a notoriously difficult time of the year to pack for. The rather fickle weather can – and does – throw just about everything at you. You feel like you need to be prepared for everything from searing summer heat to flooding rain. And in many ways you do. Because you could well encounter all of that and more, even on a short stay. I’ve been refining my packing for Paris for such a long time now that I no longer take anything with me that I don’t actually wear. But I have to say that there are always a few items that end up on higher than average rotation. I always make a note of these clothes and over time I’ve realised they fall into a few key categories. They are lightweight and take up next to no room in my luggage. They also layer exceptionally well. Let’s face it – layers are a travellers best friend. Via the clever use of accessories, they can be dressed up or down depending on the environment you are headed into. They travel gracefully. Meaning they barely crease. Even better if the can be washed in a hotel bathroom and then dry quickly. And unsurprisingly, the clothes I turned to on our recent trip to Paris fit all these categories. The itinerary for our trip at the very end of May was very relaxed. We’ve visited Paris over a dozen times now, so there are very few sights left to see. We spent our time wandering and taking as many photos as possible. Dining occasions were limited to somewhat dressy lunches – we ate in most evenings. So, what were my most valuable pieces on this trip? Mine is a very simple, Italian made, short-sleeved, scooped neck number that is perfect on its own or under a shirt or jacket. While it looks better with a press, it dries almost crease free if I’m careful. Made from the ‘technical material’ I mentioned in this post, this shirt can be worn tucked in or out and can be dressed up or down. When I think about it, it was probably my ‘most worn’ item on this trip. In some ways, this shirt breaks my own rules. Not the light and washable rules because its sheer, synthetic make up ticks all those boxes. Rather the colour scheme rules that I learned from Janice at The Vivienne Files such a long time ago. This trip, I packed primarily black and white – so the print was a little out of place. But, with its long-sleeves (which provide excellent sun protection), it is such a versatile day-to-night piece that I kept reaching for it time and time again. They were dressy enough to handle the lunches, and adaptable enough to pair with my warm weather tops. While they’re not necessarily light, and certainly don’t fit into the category of ‘travel wash and wear’ I’d never travel without them. Finally, I have to give a special mention to the accessories I packed. If I’m being perfectly candid, for a long time, I travelled with barely any accessories beyond scarves, a watch and pair of sparkly studs. Over the years though, I’ve come to understand that well chosen accessories can address the boredom that often accompanies travelling wardrobes as well as dressing up relatively simple outfits. All while adding very little in terms of weight. For this trip, I packed four necklaces (three shorter and one waist length), five pairs of earrings (three sets of studs, two pairs of drop earrings), two watches and two scarves (one very light, and one designed for cooler weather than we actually experienced). Apart from the heavier scarf, all of the pieces were worn regularly, meaning they well and truly earned their space in my carry-on luggage. Do you have any ‘go to’ travel pieces? What about packing tips for Paris in the late spring or early summer. If you happen to have either (or both, for that matter), I’d love for you to share your favourites in the comments section below. Thanks so much Rosie. My high waisted black jeans are by Paige denim and I bought them at David Jones while spending a weekend in Sydney. David Jones have lots of high waisted options at different price points both in store and on-line – you’ll find a good range of sizes and brands. Although I’ve not tried them myself, I have it on excellent authority that City Chic also make great, budget friendly, high waisted jeans and that they cater for a large range of sizes. I hope that helps. I’m interested in sources for that white shirt in a technical fabric. How useful! Thanks Noelle. Mine is by Mela Purdie, an Australian brand. According to their website, the idea is that their clothes are designed for travel. I tend to wear mine as much for work as for travel! Pros of my white shirt – it is very versatile and washes and dries in a snap. And it doesn’t need ironing. However the initial investment was relatively hefty. I know people though who are wearing Mela pieces that are 15 years old, so I’ve popped this one under the heading of investment piece…Having said that, I’m wearing it at least twice a week so the price per wear is already down to a very impressive level! I loved this post with such good reminders! I think the dark T is such a great idea, mentally noted to purchase either here or there. Packing is my Achilles heel…your posts are so encouraging! I would suggest more scarves and fewer necklaces, but that is just me. Scarves are the only prints I wear, and they are so light, I never travel with less than 4-6: two or three silk squares, and another 2 or 3 neck wraps in fabric appropriate to the season. My travel jewelry case never changes: gold ball studs, small gold hoops, one nice but not large faceted stone pendant – mine is a Maine watermelon tourmaline – on a short gold chain, an unfaceted 3 strand multi-stone choker, a single short string of pearls, a plain sterling box chain bracelet, an interesting gold chain bracelet, and 2-3 nice but not showy rings in addition to my wedding band. This covers all bases and fits into a single small zipped pouch. The key, I think, is to know whether one is a jewelry person or a scarf person. I find that most people are one or the other. I have a question since you are freshly back from Paris. I am going over in July-August and I typically wear white linen shirts in the summer – cool and tailored, can wear with jeans, with a casual skirt, or dressy with a pencil skirt with a scarf. In the US, I often do not iron my linen blouses unless for a dressy event, I just wash and hang. I have never taken them to Paris before – what do you think? Would they look too American sloppy if I don’t press them and leave them ‘hanger smooth’ but not ironed? And another question: did you notice any specific ‘it’ color on this trip? Hi Alisa. I’m so pleased to hear that you are heading back to Paris so soon – that is excellent news. And thank you for sharing what you pack. I think you are right about being a scarf or a jewellery person. For such a long time I’ve fallen firmly in the scarf camp, but I’ve really been trying hard with jewellery recently. I’m not sure I’m changing completely, but I am trying to introduce some variety. I do not think that you will be out of place in Paris wearing your white linen shirts. Linen is such a great fabric for summer and I actually noted a quite a bit of it in its ‘natural’ (i.e. un-ironed) state while we were away. And of course the classic white shirt is such a French staple. With a little thought about what you are pairing your shirts with and the ability to dress things up with your silk scarves, I think you will be more than appropriate. In terms of colour, I actually noted a lot of green in all its shades from pastel mints through to brights. It really stood out for me, as I rarely wear green (a touch of khaki here and there is about as close as I get to green) but it popped up in the windows of small boutiques as well as on the racks of the large department stores – and it had made it’s way onto the streets as well. I’m sure we’ll ‘chat’ again before you travel, but just in case we don’t… I hope you have an extra special visit to France this year. Enjoy every moment. I love your site and love hearing about your travels to Paris, my favourite city. We too were in Paris for ten days at the end of May. The weather was beautiful although a little hot for me. I love it there in the cooler weather. Unlike previous many trips to this gorgeous city I didn’t see as many stylishly dressed woman. Most women seemed to be wearing jeans and sneakers. On previous visits I was goggle eyed at the stylish women I saw so I was disappointed to see very few this time. Maybe we are all catching up with the famous French women?! Hi Helen. I hope you had a fabulous trip – and I do hope we might be catching up with those famous French women. 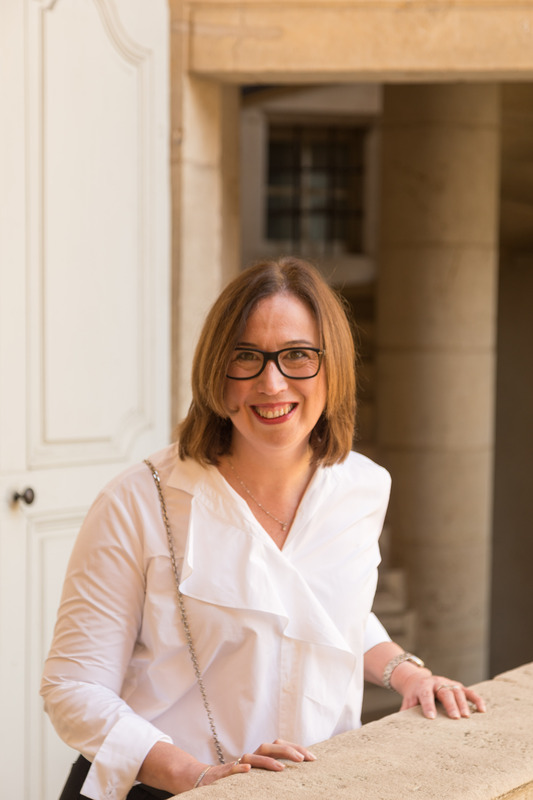 Yes, I agree, you do tend to see more stylish Parisian women in the cooler months – I also happen to feel that it is easier to travel stylishly when the weather is cooler. Scott and I were talking about it and we are with you in thinking that there were less stylish outfits on show recently but I think that was driven in part by that sudden hot weather. I felt like locals and travellers alike were thrown and that certainly reflected in the looks on the street.